When the prestigious publication Travel + Leisure named Barra de São Miguel, Brazil, one of its “Best Secret Beaches on Earth”, those familiar with this formerly sleepy town in Brazil’s northeastern state of Alagoas weren’t surprised. Known more for sugar production than a place to find a luxury hotel Barra De Sao Miguel remains largely free of big resorts. Its coastline is peppered with fishing villages and deserted beaches. 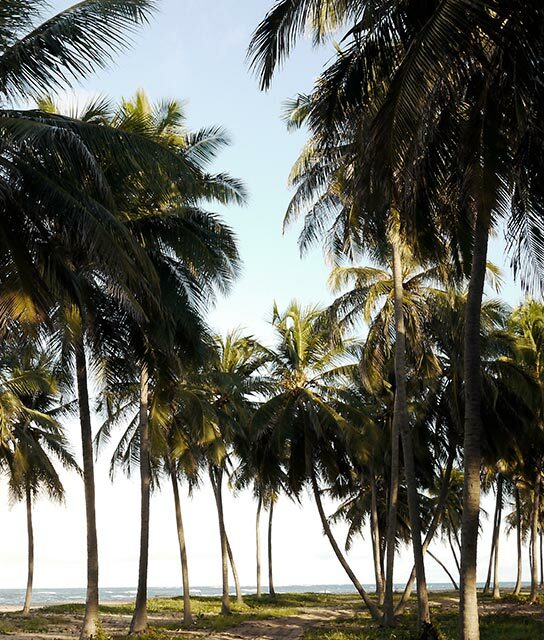 Part of the rota ecológica (ecological route), consisting of a coral reef that runs along the coconut-palm-lined shore toward Recife, the entire Barra De Sao Miguel region is also known for calm warm waters, making it a great choice for those with children. Indeed, the entire area’s sense of serenity may make this “Best Secret Beach” a secret that’s hard to keep. Best to book your Barra De Sao Miguel hotel soon. Below find a list of our selection of boutique and luxury properties in Barra De Sao Miguel. Telling a local story with global characters, Kenoa – Exclusive Beach Spa & Resort melds social and environmental awareness with Zen-like luxury.